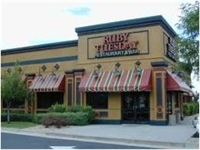 This unique investment opportunity consists of an ideally-located and Free-standing Ruby Tuesday location with over 12 years remaining corporate Absolute Triple-Net Lease.The surrounding area is a high average household income of approximately $123,000 within a 1 mile radius of the subject property.Tenant is responsible for building maintenance,repairs,roof,structure,taxes,utilities,insurance and CAM expenses. No Landlord responsibilities. The property is ideally positioned at the signalized, hard corner intersection of Kiln Creek Parkway and Victory Boulevard (65,000 Vehicles per day). The property resides within close proximity to strong national tenants including Super Wal-Mart,Costco,Target,World Market and Regal Cinema.